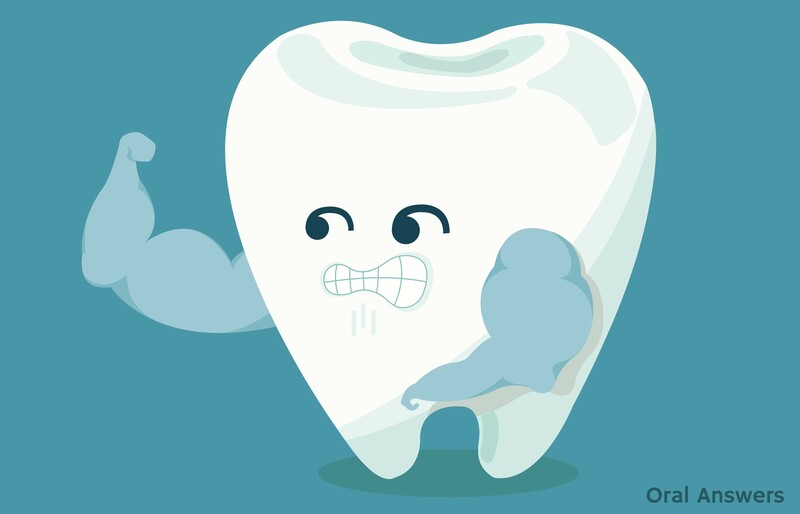 Have you ever wondered what makes a tooth so strong? 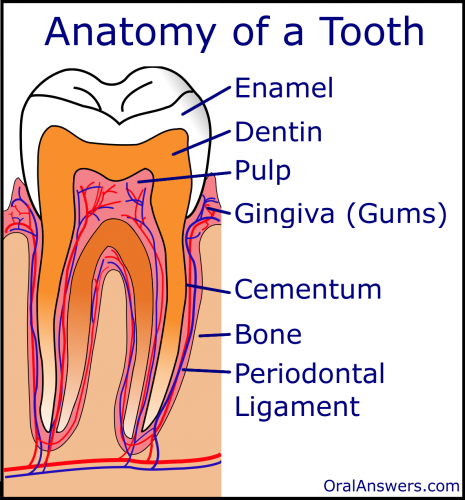 The anatomy of a tooth is very simple compared to the human body. Every tooth in your mouth has two major portions: a crown and a root. The crown of the tooth is normally the portion that you can see inside your mouth. It is covered in a glassy, white-colored substance called enamel, which is the hardest substance in the body. The root is the part of the tooth that you can’t see unless you have severe gum disease. It is what anchors the tooth in the mouth and supports all of the forces that are placed on the tooth while food is being chewed. The root is covered by a very thin layer of a substance called cementum. The cementum anchors the tooth to the bone by way of the periodontal ligament. Enamel is the hardest substance in the body and gives each tooth the strength to bite through all of the food that we eat. Although enamel is extremely strong, it can easily be dissolved by the acids that plaque produce and the acids that are found naturally in many popular drinks. Dentin is the layer right under the enamel. Although not as hard as enamel, it is about as hard as bone. Dentin also is flexible. For example, if you bite down on a very hard object, the dentin is able to flex a little bit and can keep your tooth from cracking like it might if teeth were just made of enamel. The pulp is the inner-most layer of the tooth. The pulp provides nutrition to the tooth. 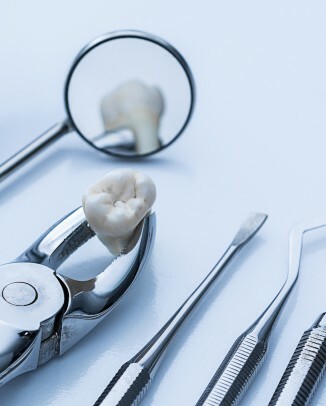 It has been suggested that when the pulp is removed from a tooth, for example during root canal treatment, the tooth becomes more brittle and prone to breaking. The pulp also provides the nerves to the tooth. Have you ever noticed that if you eat ice cream right after a hot meal your teeth don’t transmit a message of cold, they just transmit a message of pain? Interestingly, the only nerves that go to the brain from the tooth transmit pain. There is no temperature or pressure sensation in a tooth. Cementum is a very thin layer that coats the roots of the teeth and attach the teeth to the peridontal ligament, which is connected to the bone. 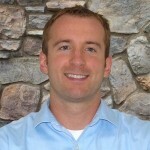 The gums form a collar or sheath around the teeth that protects the underlying bone. When you stop brushing your teeth for an extended period of time, the gingiva become red and puffy. This is their method of defending against the plaque that has built up. If you completely stop brushing, the gingiva will eventually start to lose the war against plaque and “fall down” from around the teeth resulting in gum disease that can eventually make your teeth fall out! 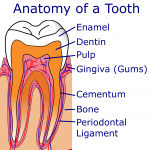 The main function of the periodontal ligament is to attach the teeth to the bone. The peridontal ligament also sends sensory information to the brain. For example, if you are eating some popcorn and bite down hard on a popcorn kernel, your jaw suddenly opens to alleviate the pressure. The periodontal ligament sends that pressure signal to your brain, causing that reflex. The tooth doesn’t feel the pressure since the tooth is only capable of sending pain messages to your brain. The bone holds the whole tooth in its place. The bone is constantly remodeling itself in response to various forces it experiences in the mouth. For example, if you have braces on, there are forces pushing on the teeth. 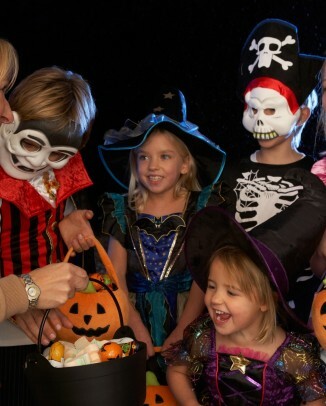 The bone remodels itself to help the tooth move to the position in which it is being pushed. Well, that’s a basic summary of the anatomy of a tooth. If you have any comments, questions, or concerns just leave them in the comments below. Is a Labial Frenectomy Necessary After Braces? so, i have an anchor tooth that the orthodontist said needed it be pulled. but its coming out on its own. and im wondering if an anchor tooth is only limited to baby teeth or can they be adult teeth too? 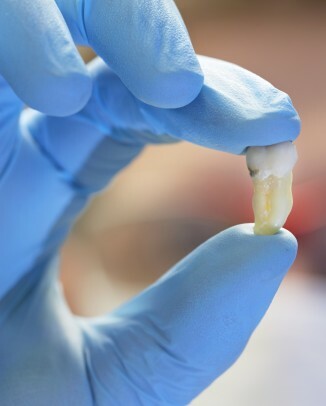 can the root of an adult tooth dissolve? If not where does it go ? Yes it can absolutely dissolve. Many different factors can cause this. Plaque buildup at the gums can cause them to become loose, from there If the plaque moves or the gum flexes yes anything can move its way there. Your body will naturally try and push it out but it’s not always successful. The question as to where does it go is down into the tissue muscle and bone. Why is my jaw killing me? I have all implants for molars, they’re not even 10 years old and as of this weekend I have severe pain in my lower jaw. Please help. Can being in a hot tub and raising the body temperature cause extreme tooth pain in certain teeth? Same with very cold things to eat or drink and not just sensitivity but true throbbing tooth pain? I had recently had this happen and seems to be in the lower 3 molars. This will last until I put some anbesol along all 3 teeth. Yes I’m not sure about a rise in body temperature but everything else there is a sign to go to the dentist. Throbbing is bad. The blood supply is working to try and re-route itself because of inflammation or infection or many others. I’d get to a dentist. I was in the same situation and I had an emergency extraction which has caused issues in almost all of my teeth. Go to a good dentist. I went to a dentist that was supposed to be good but it’s been a nightmare since. Most dentists won’t tell you if they’ve made a mistake. So find one who’s honest.